An albatross two at the ninth hole propelled Perranporth's Chris Johnston into the lead at the Irish Youths Amateur Close Championship at Ardglass, writes the GUI. In testing afternoon conditions Johnston carded a level-par 70 for a total of 145, one shot clear of Peter Kerr, Ben Graham and Thomas Mulligan, all of whom took advantage of kinder earlier conditions to card rounds of 69, 69 and 70 respectively. First round leader Sean Flanagan is still in the hunt despite taking nine at the long 15th, finishing with a birdie and two pars for a 76 and a three-shot deficit with 36 holes to play. Galway's Ronan Mullarney, Carton House's Darragh Flynn and Esker Hills' Alan Lowry are all two shots adrift on seven over, while Flanagan is joined by David Carey a shot further back. North West's Kyle McCarron came from five shots off the lead at halfway, following a morning 72 in tough conditions with the only sub-par round of the entire day — a one under 69 — to win the Irish Youths Amateur Close Championship by a stroke at Ardglass. County Sligo's Sean Flanagan produced a sensational performance on a windswept Ardglass to lead the first round of the Irish Youths Amateur Close Championship, writes the GUI. 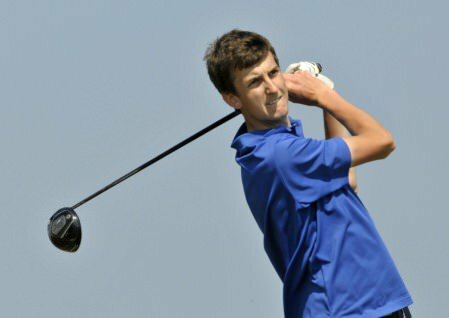 Castle's Alex Gleeson can make up for last weekend's Irish Close final disappointment when he takes a share of the lead into Friday's final day in the Irish Youths Championship at Moyola Park. 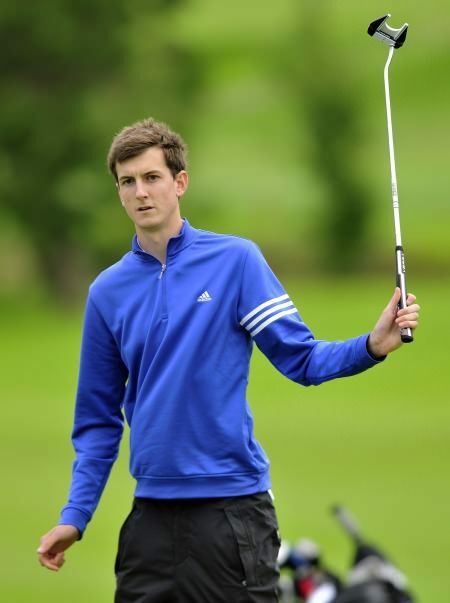 Tiarnan McLarnon leads the Irish Youths Amateur Close by four shots at Claremorris. Picture: Pat Cashman/www.cashmanphotography.ieMassereene’s Tiarnan McLarnon scorched to a sensational seven under par 66 to take a commanding four-stroke lead into the last two rounds of the Irish Youths Amateur Close Championship at pristine Claremorris. Winner Tiarnan McLarnon effectively clinches the Irish Youths with this birdie on th e15th. at Claremorris Golf Club today (30/08/2013). Picture by Pat Cashman/www.cashmanphotography.ieHis two-shot win looks easy on paper but Massereene’s Tiarnan McLarnon had to work hard to clinch an impressive victory in the Irish Youths Amateur Close Championship at Claremorris.